It’s still a ways to go before we can officially welcome him to the States, but Christiano Ronaldo just made a purchase that should ensure the long-awaited move to MLS for the soccer star. According to the New York Post, Ronaldo bought himself an apartment in the lavish Trump Tower building in midtown Manhattan. The 2,509-square-foot loft reportedly went for $18.5 million, and it formerly belonged to real estate mogul Alessandro Proto, a partner of Donald Trump. 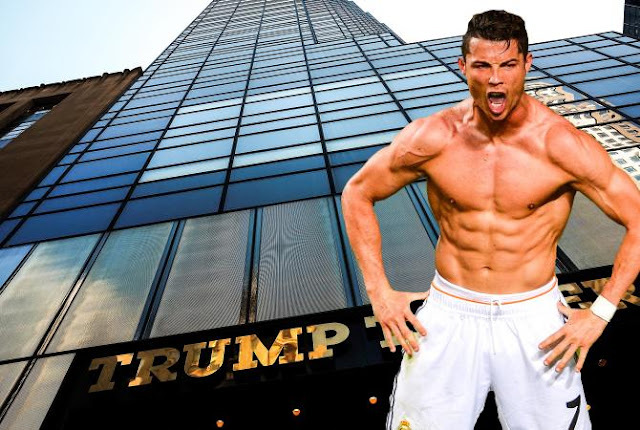 The Post has learned that the Real Madrid soccer superstar paid $18.5 million for a 2,509 square foot loft in the Trump Tower on Fifth Avenue. The deal was completed Wednesday, making the 30-year-old Portuguese soccer star officially a New Yorker. Now the question is whether he just lives here, or plays here. It’s been widely reported that Ronaldo is looking into joining an MLS team when his contract expires in 2018. Sports Illustrated reported that Los Angeles is a likely destination, but the purchase raises the question of whether New York City FC or the Red Bulls could be in play down the road. While Ronaldo is rumored to prefer Los Angeles, he did buy a pad in New York City.